A special Jury Mention was also given for this Hindi psychological drama directed by debutant Dipesh Jain. It was a special night for the team of Gali Guleiyan (In the Shadows) at the prestigious Indian Film Festival of Melbourne last night. The Hindi psychological drama continued its winning streak at the esteemed film festival of the Southern Hemisphere. 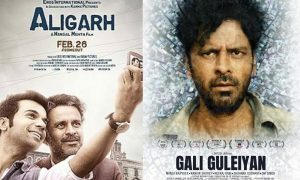 Two times National Award winning actor, Manoj Bajpayee‘s Hindi psychological drama, Gali Guleiyan (In the Shadows) continued its winning ways at the prestigious Indian Film Festival of Melbourne, last night. The film, which stars Two times National Award winning actor, Manoj Bajpayee, won accolades in two out the four categories that it was nominated in. 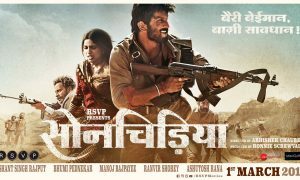 Gali Guleiyan was nominated for Best actor : Manoj Bajpayee, Best Director: Dipesh Jain, Best Supporting Actor: Ranvir Shorey, Best Indie Film. Manoj Bajpayee won the Best Actor award. His heart wrenching portrayal of a man trapped within the walls and alleys of Old Delhi and his own mind, who attempts to break free to find a human connection sure did touch many hearts. Gali Guleiyan also earned a Special Jury Mention in the Best Indie Film category. Gali Guleiyan has been screened at more than 19 top International Film Festivals and won audience accolades and awards along the way. These include the Busan International Film Festival, MAMI, 42nd Cleveland International Film Festival, the Indian Film Festival of Los Angles, Atlanta Film Festival and the New York Indian Film Festival. Manoj Bajpayee’s stellar performance won him the Best Actor Award at the New York Indian Film Festival in May 2018. Set to release in theatres worldwide on 7th September, Gali Guleiyan, is a Hindi psychological drama about a man trapped within the walls and alleys of Old Delhi and his own mind, who attempts to break free to find a human connection. The main protagonist is played by the extremely talented Manoj Bajpayee ably supported by an ensemble cast of actors par excellence – Ranvir Shorey, Neeraj Kabi and Shahana Goswami along with debutant child actor Om Singh. Shot entirely on locations, the film is directed by Los Angeles-based debutant filmmaker and winner of Director Guild of America Award, Dipesh Jain.